Custom LED Meters for 500-Series Racks!!! 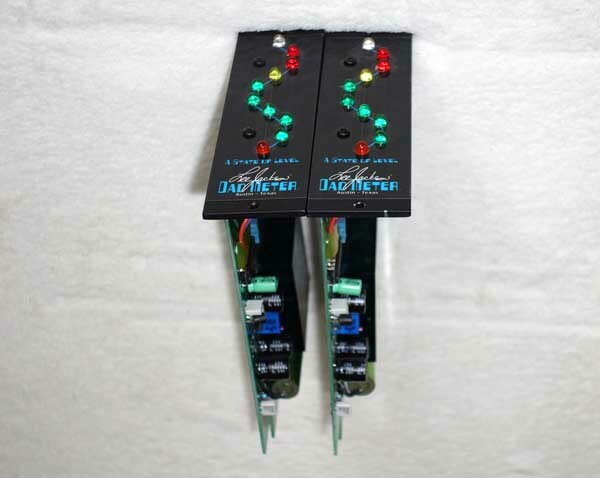 Up for consideration is for a single (2 units available), lightly used, custom Lee Jackson Dad Meter module for the API 500-Steries rack enclosures. This meter solves the problem of having several pieces without any metering, and if you want to drive a particular unit, it is nice to know how much signal you are sending through it -- or even to verify that it is passing signal. This is from renouned amp and effects designer Lee Jackson's brand new 500-Series, and here is a rare opportunity to get a cool-looking meter at a surprisingly affordable price!!! CLICK HERE for 1270 DPI Hi Res photos of there Dad Meter units. Here is some additional INFO from the Lee Jackson Website. 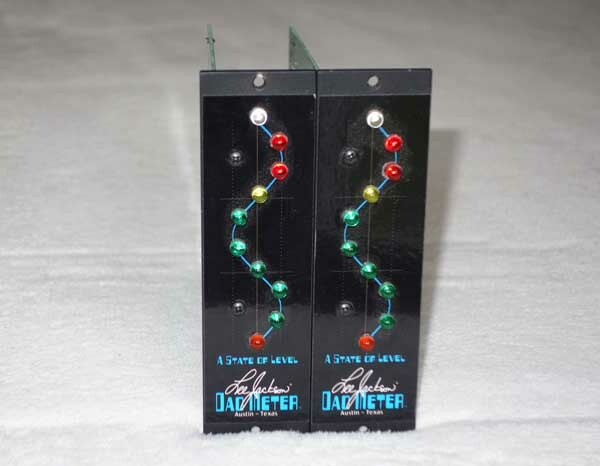 The beauty of the Dad Meter is you can quickly and easily patch this meter in your signal chain to see if you are getting level, or to help with gain-staging, and in a portable 500-series format. USA shipping is $12.50 via FedEx Ground, with tracking, full Insurance and Signature Confirmation. Satisfaction Guaranteed, with a 3-day return, buyer pays shipping, so please ask questions first. I do accept PayPal, as well as Visa, M/C, AmEx, etc. Thanks for looking. 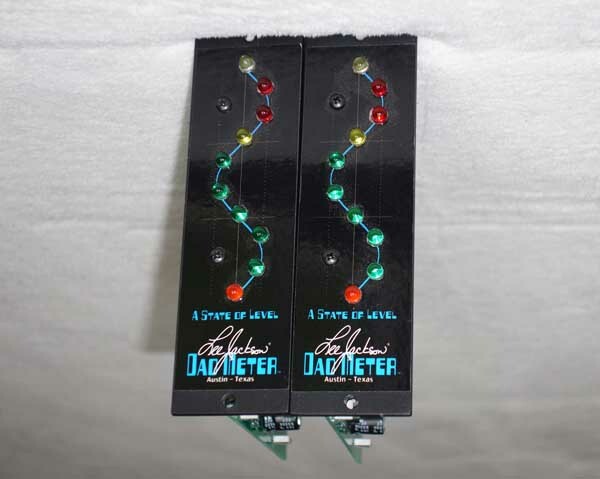 This auction is for a single Lee Jackson Dad Meter 500-series meter module. No other accessories are included.